A stoic, symmetrical array of four tall volumes rotated around a hearth, Horace Grifford’s design derives its name from its formal likeness to then-popular instant cameras. 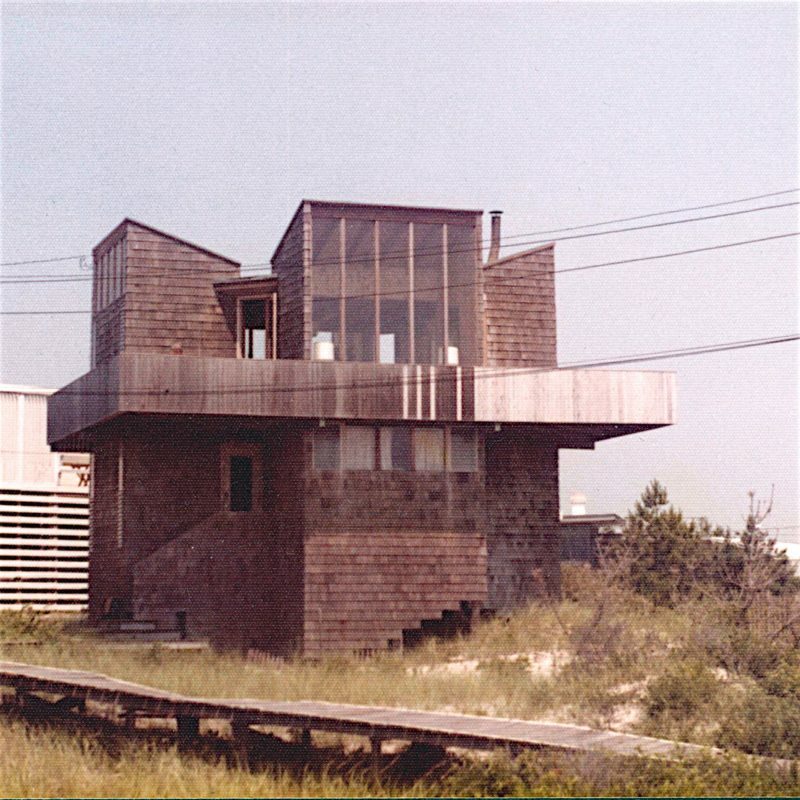 Situated on popular vacation destination Fire Island, New York – Grifford’s design (much like many of his other Modernist works in the area) was very much drafted with entertainment in mind. With the central hearth left open for dancing, ancillary towers were dedicated to food, beverage and sleeping spaces and a stark horizontal plenum cut around the forms offers a reduced, painterly ocean view.